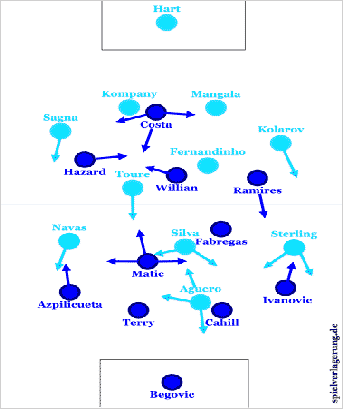 On the left half of the pitch, both Thiago and Lewandowski shifted towards the touchline to aid in connections and potential overloads which positionally supported Costa on a few occasions as the Brazilian created a number of 1v1 opportunities early on. 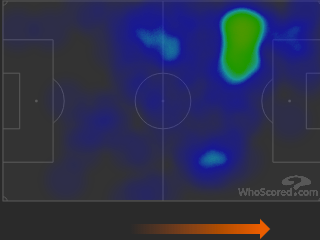 Down the right side, Lahm stayed wide (until Guardiola changed around the 15th minute) in a midfield line with Muller more vertically oriented than Thiago and Robben in a direct role higher up. 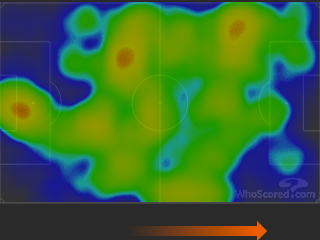 Raheem Stering and David Slva’s combined heatmap.